Gaining independence is easier, keeping independence is the toughest! This is similar to keeping a child safe at home. Parents can take a baby and sacrifice a lot to bring this baby into the world, but the job is not finished yet rather the race has just started. Keeping a child safe from several hazards is the toughest job in the world. There are several hazards to the children; some may lead to death and devastating injuries. For the parents, the first thing is to identify the sources of injuries and hazards. There are some sources caused by unintentional behavior and practices by parents, some arises from the natural behavior of children. Children are always curious. They like to crawl here and there and play with weird things; even they play with their fingers in weird places that you can’t imagine. The sources could be your living room, your favorite garden, your favorite firehouse and couch where you used to study books and gossip with friends in winter. Risks could be from home appliances, furniture, kitchen room, photo frames, and electricity, even from your favorite pool or bathtub. Even the most harmless room can be the most dangerous room if there is a baby. That’s the actual scenario. Identifying risks is done! Okay, let’s come to discuss how do you keep your child safe at home. First of all, you need to ensure a suitable crib for your children. Keep the spaces narrow so that baby couldn’t slip or strangle through the spaces. Do not keep any corner posts. You must ensure that your mattress fits well and keep soft towels if there is any blank space. You can include toys when your baby learns to push up things. Water is always dangerous for children. Parents must keep no water in a bathtub; reduce heater temperature to minimum levels i.e. 120 degrees Fahrenheit because the skin of babies is very much sensitive. Parents must also be careful while keeping things like shampoo, razors, conditioners, soaps etc. because children can put these in their mouth assuming foods. Drowning is the number one cause of death. To avoid this hazard, parents must build a high fence beside the pond or pool. It is not wise to keep older children or others to supervise your children. Children like to play in the garden. There are several risk exposures like the presence of snakes and other species, poisonous trees etc. Parents should take necessary precautions to lie cutting grass and keeping it short, avoid watering etc. Be aware of using chemicals like naphthalene or toxic because it may cause illness and even death. There are lots of trees which are toxic and poisonous, children could eat leaf and poisonous fruits which could lead to nausea, gastric upsets etc. You should know everything about trees you are planning to plant. For safety from fire, parents need to install smoke detectors on each floor and at each room, fire extinguisher, fire escape plans. They also need to put lighters and matches in a metal box. You need to place safety alarms and ensure the monthly testing of alarms. You need to take precautions against the exposures arises from electricity. You need to install standard electrical equipment, replace appliances if they are outdated. You need to keep saws, screws, wood panel, and drills away from the children. Try to avoid smoking around your children because nicotine could get into the baby’s body. One of the most common causes of injuries is falling from the upstairs or top. Parents need to lock upper storied windows, lock balcony doors, and install safety guards like building fences to restrict entry to balconies and stairs. Staircases lead to injuries like breaking bones. There should be safety gate in front of the stairs. All cleaning materials must be latched in a cabinet or out of sight of babies. You also need to ensure that your furniture is tightly fixed, photo frames are fixed and well balanced. You must look for furniture and equipment that are safe for baby. In the kitchen, parents should take safety measures to protect children from a stove, hot food, fire, and hot water. For that, they have to install safety latches, keep a fire extinguisher, keep sharp things and cleaning products in a basket or drawer, keep bowls of foods and water away from the sight of children. You need to keep medicine and other toiletry materials in a container. You need to keep switch off the stove in the backside so that your baby couldn’t turn it on accidentally. Poison is one of the major causes of child’s visits to hospital and in worst case, death is inevitable. Children like candy and chocolate very much and they could often eat away medicines, tablets, poisonous chemicals used for killing several insects. You must keep these at the top of the furniture or lock these so that children can’t touch it. Toys are favorite for children to play. The plastic wrapping must be discarded at first for the safety and also children must be thought to put plastics away from sidewalks and stairs. You need to choose toys carefully and identify sharp parts of the toys. While buying toys for children, look whether it contains any toxic or unhygienic elements because children used to keep the toys in front of mouth. Please try to avoid small balls, marbles because children might end up eating these thinking these yummy candies. 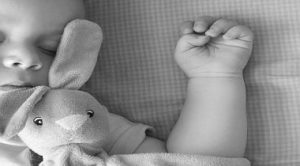 You need to ensure that your baby is safe while sleeping. Keep different bed for babies. You need to build safety guards to prevent fall from the bed. You also need to ensure standard temperature and suitable dresses to reduce the possibility of sudden infant death syndrome. Try to avoid keeping mobiles and other digital devices while your baby is sleeping because radiation from electronic devices is harmful. Children used to crawl and walk. You need to install security gates in stairs and doors. You must keep cleaners and medicines, machinery, rocks in a safe cabinet. Don’t keep wastes, marbles, and tiny things in the floor because s/he could eat away these things. Keep the toilet doors close and ensure that door can be opened from the outside if your baby is accidentally locked inside. Keep the kitchen and garage inaccessible for the children. Do not put strings, cords that can cause danger. Keep bottles clean. Try to feed him with healthy combinations of liquid foods. Avoid hot drinks and foods. Avoid providing raw fruits like carrots, apples, hard chocolates. Parents must not make children accustomed to using mobiles and tabs. Most parents used to practice this in order to keep babies busy and to stop crying. It could affect babies’ eyes and skin and could lead to hazard if they throw these things in the floor. Besides the instant perils, it might have long-term effect on babies’ health. According to a study of 50 children, children who are used to use tabs and other electrical devices are less likely to be family person, natural laughing person that of those who are not used to use devices. Pets are safe if they are treated accordingly. However, don’t leave your baby alone with the pets. Teach your children not to hit or make movements around a dog. Teach how to respect dogs. Pets can bite baby if baby causes pain accidentally to the pets. You may wonder if I say that pets and kids can be kept safely together. For that, you need to make your baby learn the body language of the pets at first. You will find many books in the library to learn how to link pets and kids together. There are many other safety measures you can afford to keep your children safe. Avoid keeping plastic bags, balloons, alcohols, cigarettes, guns, firearms, knives away from the children. Most of the parents used to shake and throw their babies in the air to make them laugh. Although it makes children happy, it can cause brain damages and blindness to the child. Parents used to keep babies in the walker because its speed can increase accidentally and cause devastating injuries. Keep tables clear and do not use tablecloth because your children can pull it and things can be put over his body. You can get training in order to learn about first aid. Besides those, you need to keep emergency numbers of police, ambulance, and fire, poison information center in case poison is swallowed, nurses, child and health advisory nurse, local hospitals and neighbors etc. Make sure that you have an insurance for your family, children and appoint an alternative guardian of your children if you pass away accidentally. Keep sufficient fund, deposits, and assets for children in the form of tangible and intangible assets. One thing you must remember that your child is your responsibility. At first, you need to be careful and responsible for making your children healthy and safe from all hazards. You need to find out the loopholes which give birth risk exposures and then you must fill these gaps with necessary steps discussed above. Keep in mind that ensuring good health and safety is much more difficult than giving birth. I hope this article is helpful for you and your children. Best of luck!